It started seven years ago, with "The Walking Dead" series premiere on Halloween. The first season was the honeymoon stage. Full of adoration, mutual respect, and obsession. “The Walking Dead” was a large part of what I like to call the start of the Golden Age of Television, ushered in with the likes of “Game of Thrones,” “The Office,” and others. It was gritty, tense, and gave the people what they wanted— zombies. I look back fondly on the first season, and most importantly, on Glenn*. Yes, I’m going there. Glenn brought a necessary lightness to the otherwise dismal atmosphere. At this point, “The Walking Dead” still had empathy for my feelings, desires, and hopes for its characters. It was still a good guy. But then, we got comfortable. Seasons two and three dragged, and I would be lying if I said I never wiki’d an episode or two instead of enduring an hour long conversation with someone who didn’t like listening any longer. By season four, I’m breaking this off. Cold turkey. Focusing on me, my health, my well-being. However, turns out life with zombies was hard, but life without zombies was harder. Time goes on, and by the time season five is about to start, I’m missing my guy. “The Walking Dead” reeled me right back in, and for the next two years, my toxic relationship has continued. Every Sunday, I say I’m never watching again. And every Sunday, here I am, in front of my TV, ready to watch. With the arrival of Jeffrey Dean Morgan’s Negan (who you'd know, if you follow this blog, is my #1 TV villain), came an unhealthy resentment towards the pain thrust at these characters each week. Morgan plays Negan wonderfully and terribly; he’s a true force to be reckoned with. When he killed Glenn, I cried for three hours. I swore off the show, its producers, the writers, the original comics, the world, the universe, and all things good in the world, including sandwiches. I said, “I’m DONE.” And I was... at least, I was until the last episode in that season. 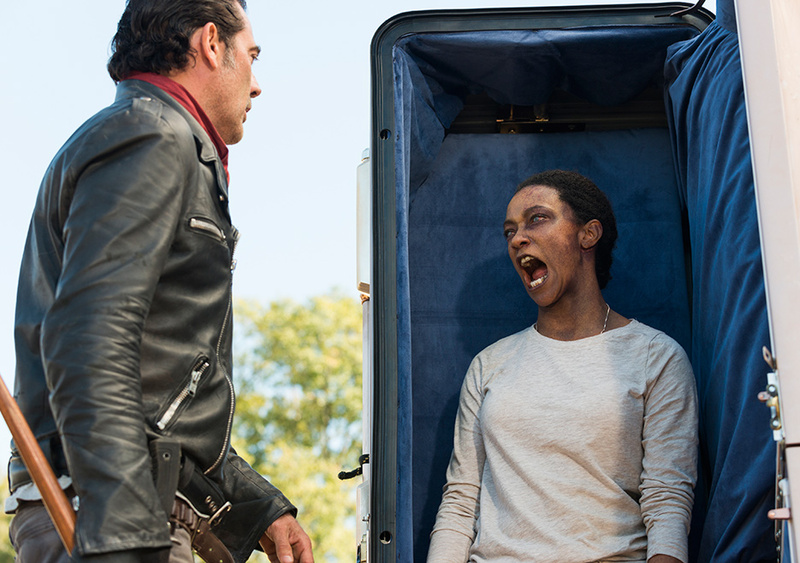 Sasha’s epic takedown of Negan’s confidence via self-zombification was enough to bring my tortured soul back around. I wasn’t sure what to expect with this latest season: Would the King Zeke conquer? How will Rick take care of this mess? Why does Maggie still not look pregnant? Most importantly, could “The Walking Dead” and I make our rocky relationship work this time? I wasn’t sure how much more heartbreak I could take. Not to mention that pesky affair with “Fear the Walking Dead” that honestly just confused things more. As this season has progressed, I had felt more effort and love from “TWD” than I had in a long time. 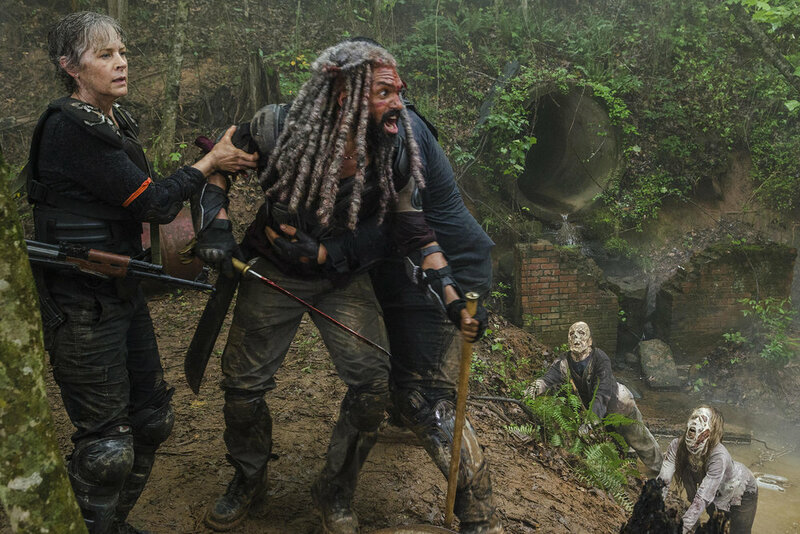 Carl is thriving and making new friends, Rick is successfully scheming, I’m finally not weirded out when Michonne and Rick kiss anymore, and King Ezekiel is living his best life with Shiva by his side. I’m really starting to believe this show has my best interests at heart again. And then, just like that, the rug is ripped out from beneath me. Rick’s plans fall apart, Shiva is killed saving Zeke (worst death since Glenn, easily), Eugene is still breathing, and now Carl is turning into a ZOMBIE?!?!?!?!?!?!?! I felt betrayed, neglected, and used. 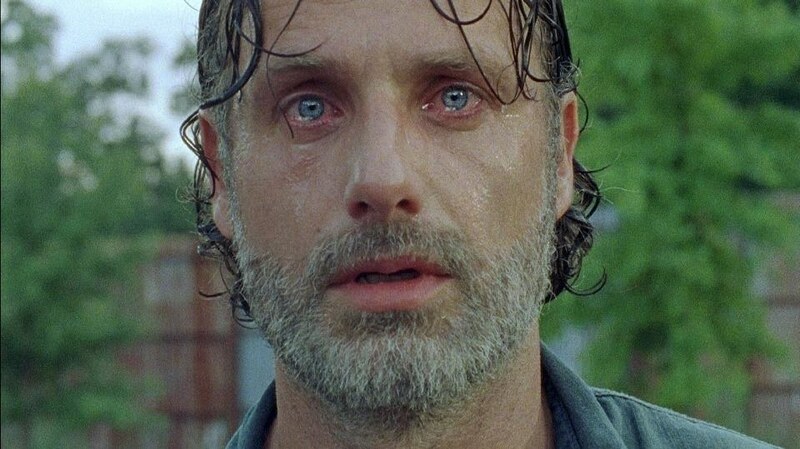 “The Walking Dead” once again toyed with my emotions. I kept thinking to myself, “all I want is a healthy, loving relationship but you just want to play me.” It really tried my patience. I can’t change something that doesn’t want to be changed. “The Walking Dead” is not a show to be coddled or cuddled. It’s a wild thing, and I need to quit trying to make it my Friday night lemon drop when it’s supposed to be my Sunday night glass of bourbon. If Maggie doesn’t start showing soon, I’m gonna call that bluff. Kylie Kardashian is showing more than Maggie, and I don’t even think Kylie is pregnant. Deaths happen, especially in a show about dead people walking around eating other people. I gotta quit letting that get to me so much. But RIP Shiva. My relationship with “The Walking Dead” may be toxic, but only because I make it that way. I knew exactly what I was getting into, so I can’t be mad when it lives up to its bloody expectations. “The Walking Dead” may be an all-around infuriating crum bum most Sundays, but it's my crum bum. And those Sundays where the team gets a victory, even a small one, makes it all worth it. Hell, it teaches you to appreciate the little things, if nothing else. Right? *I’m still mad about Glenn.